When you’re considering building a new deck, the last thing you probably think about is whether the timber you use is legally harvested, but perhaps it should be. As Tony Cibiras, branch manager at Outside Concepts Canberra Southside points out, it’s common knowledge that illegal harvesting of timber in South East Asia is widespread, but exactly how much ends up in Australian patios, decks and pergolas is unknown. The good news is that if you are concerned about illegal harvesting of timber, there is something you can do. It might sound like something out of a CSI episode, but Tony says the answer lies with DNA. “Some suppliers in South East Asia and importers into Australia use the DNA of the timber to verify that it was legally harvested. This process involves taking DNA samples from areas that can be legally harvested and then checking the DNA of timber at the sawmill and at the point of export to Australia,” Tony explains. 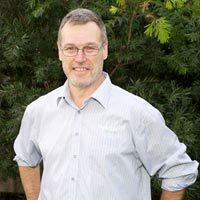 So if you live in Canberra, ask Tony to get DNA certified merbau for your next deck, patio or pergola project. It might be a small step, but the orangutans and other wildlife in South East Asia will thank you.